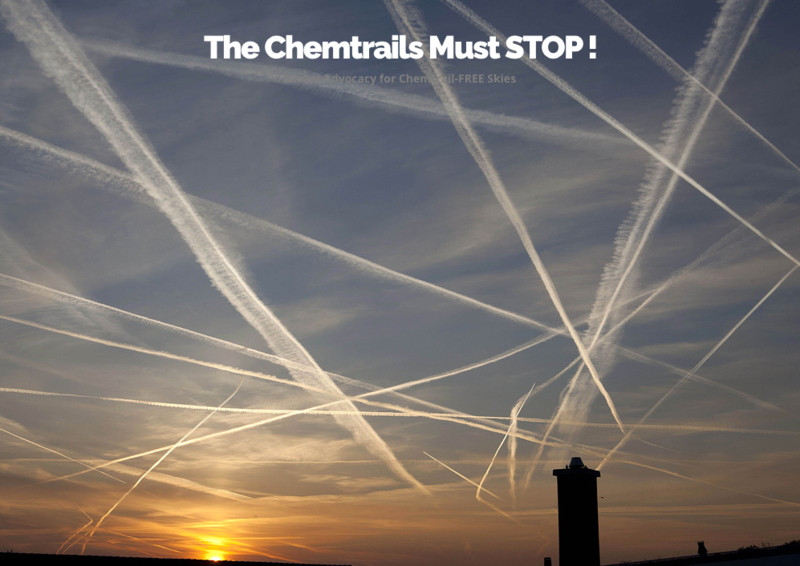 You have probably come to this site because of an interest in knowing more about chemtrails, geoengineering and other weather modification programs. 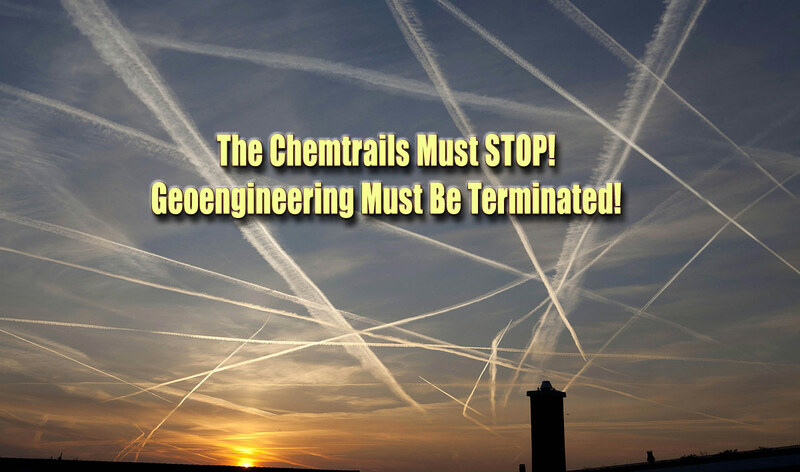 Please know that we are not here to debate the existence of chemtrails; only to terminate them … post haste. 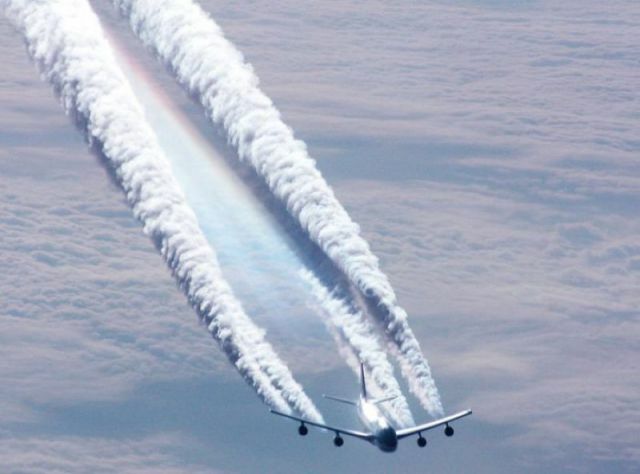 We find the current policy of spraying the skies of America, and many other nations around the world, to be an unlawful and flagrant assault against every inhabitant of Planet Earth. 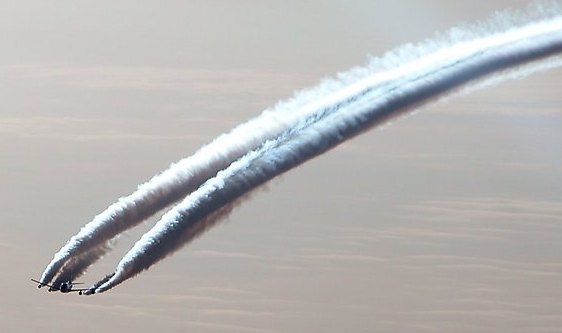 We have also determined such a daily operation in our skies to be the clearest form of premeditated chemical assault; one which is being perpetrated upon the people around the world without cessation. Because of the severity and unrelenting nature of this harmful aerosolizing of our skies with toxic chemicals, we are compelled to move this advocacy in a whole new direction. This much more aggressive approach will be directed at revealing those individuals who are the philosophical promoters, scientific ‘heavyweights’ and political pushers of this dangerous transnational policy. We will also pursue those individuals and organizations who are directly responsible for carrying out the day-to-day chemtrailing operations. The ultimate goal in this regard is to expose those decision-makers at the very top of global governance who have ordered this extremely deleterious worldwide policy and implementation plan. Toward that end we have provided below a “Mission Statement” which clearly articulates the legal and moral basis for such a highly consequential, sweeping and unprecedented global initiative. This statement also delineates, in very general terms, some of the process and procedure. The bottom line is that there is room for every individual, who is appalled by the very notion of CHEMTRAILS, to take a stand, and do something about it. I. No one — no government, no corporation, no business, no individual or other entity under the sun — has the right to poison us or put toxins in our food, water, medicines, clothing, homes, automobiles, etc. Likewise, no one has the right to injure or harm us through any governmental law or statute, rule or regulation. Neither does any corporate process or procedure, which harms or defrauds, have any legitimacy in law. II. The governments and corporations of the world are the primary offenders in this regard. They must each be identified by name so that they can be issued an immediate CEASE AND DESIST ORDER by We The People. III. Only by calling out each corporation for their unlawful and injurious conduct, and naming their CEOs, Presidents and Board Chairs for their criminal behavior, will sufficient pressure be exerted to effectuate genuine, systemic and lasting change. IV. If they continue their illegal behavior, they should be forced to resign. Likewise, their collaborators, throughout federal, state, and local governments, should be forced to relinquish their public roles. V. Only in this way will the proxies of the World Shadow Government (WSG) be held accountable. As the WSG-selected puppet governments are forced to stand down*, and their corporate chiefs compelled to resign*, the WSG will lose its power and control over We the People. VI. These are the most effective actions that the inhabitants of Planet Earth can perform at this critical moment in history, in order to successfully safeguard their personal sovereignty. Only by taking back our power will each human being live a life free of these chemical assaults. Then, we can begin the task of reclaiming out personal sovereignty. VII. Each resident of the global community can reclaim their personal sovereignty only by standing in their own truth with courage and resolve. By speaking truth to power wherever and whenever appropriate, we bond with likeminded individuals who have likewise taken back their power. VIII. As the unity of purpose and strength of conviction grow within the citizenry, a critical mass of people power will emerge. The collective will, and unified intention, will then translate into the actions required toward attaining true sovereignty on the collective level, especially in matters concerning the state and one’s sovereign nation. IX. A return to personal sovereignty is what the Founding Fathers of the American Constitutional Republic first accomplished before they signed the “Declaration Of Independence”. We the People will do well to imitate their courage and resolve during these revolutionary times. Truly, the opportunity for profound and permanent planetary transformation comes infrequently to Planet Earth. X. The 2nd American Revolution has begun; only this time it is a global revolution. Every person on this planet has been challenged to rise up and face this unacceptable offense against all life. Let’s get busy ! ! ! *Any response less than an immediate resignation of all culpable corporate officers, as well as a standing down of all accountable government officials, ought to result in aggressive criminal prosecution followed by severe prison sentences. Declaration of Personal Sovereignty in pdf format. The spraying of chemtrails in the skies throughout the world has aroused more angst and passion than any other ongoing environmental catastrophe or health disaster we have seen. Simply put, mostly everyone agrees that when they mess with our air, they are really messing with our lives in a profound, fundamental and totally unacceptable way. in our food, on our organic gardens, in our drinking and bathing water. They also fall into the oceans … the forests … the grasslands … and the mountains. They contaminate all the farmland and pastures … lakes and rivers … ponds and streams. Chemtrail chemicals gain entry up into our homes when we track them in. They come in through windows and doors, as well as through the HVAC systems and plumbing. These chemicals find their way into our cars and pickup trucks, vans and motorcycles, RVs and 18 wheelers . They make a home in our office buildings and shopping malls, schools and factories, apartments and condos. 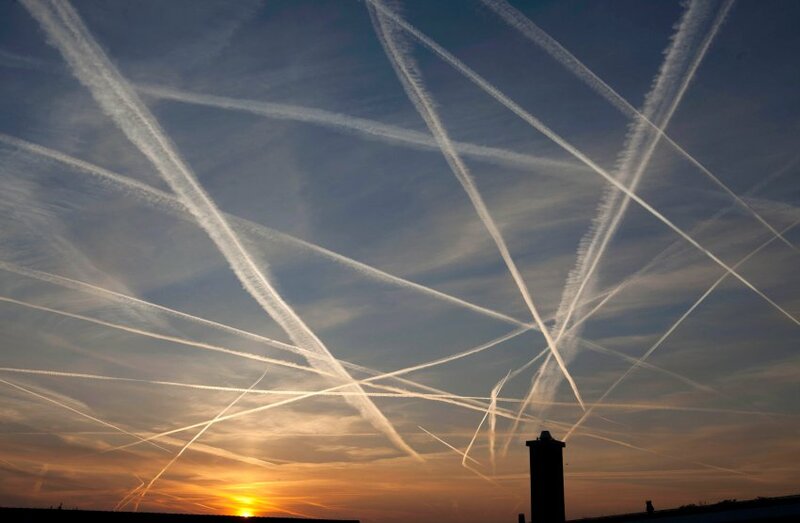 In short, CHEMTRAILs ultimately end up everywhere and anywhere! So, you can see that the vectors of dissemination of these chemtrail chemicals is virtually infinite as it is endless, as long as you see those cobwebs in the sky. Therefore, this ongoing chemical assault is as never-ending as it is outrageous! “We all possess a fundamental right to not be chemically assaulted by anyone, or any entity under the sun. Likewise, we all have the right not to have our home and property chemically trespassed by anyone, or any entity under the sun. It is time for this illegal worldwide regime and legislative framework to change … radically so. 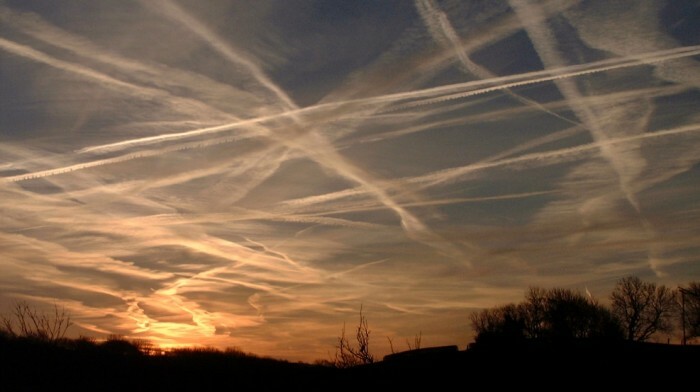 The vast majority of residents of Planet Earth will accept nothing less moving forward into a chemtrail-free future. Many of us know that if there is not a significant change in posture fairly soon in this regard earth changes will be thrust upon us in totally unpredictable and apocalyptic ways. Already we have all seen how geoengineering via chemtrails have altered atmospheric conditions resulting in extreme drought and flood conditions worldwide. How the SUN (and chemtrails) is triggering extreme worldwide weather events? Isn’t it time we cleaned up our skies for all future generations? !